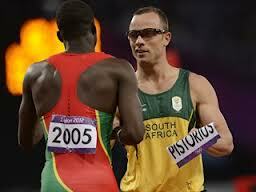 South African Oscar Pistorius is asked by current world champion Kirani James of Grenada to exchange race bibs after Pistorius comes in last in the semi-final of the 400 meter race. 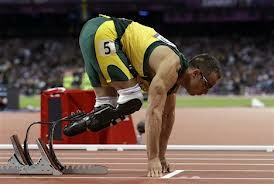 By the way, Oscar Pistorius is a double amputee. This entry was posted in Story and tagged 2012 Olympics. Bookmark the permalink.